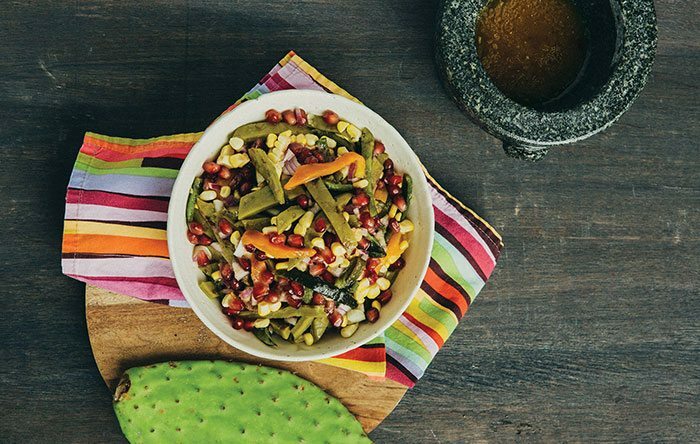 Supercharge your guacamole and eat like a Mesoamerican with this plant-based Mexican cookbook. Chilled ceviche, cool guacamole, refreshing agua fresco—in this summer heat, doesn’t some light, fresh Mexican food sound like nectar of the gods? As it turns out, these plant-based treats will not only cool you down—they may also help heal you up. The recipes come from Luz Calvo and Catriona Rueda Esquibel’s recently released cookbook, Decolonize Your Diet: Plant-Based Mexican-American Recipes for Health and Healing, which emphasizes the health-promoting merits of foods common among indigenous Mesoamerican people in the centuries before European colonizers arrived.